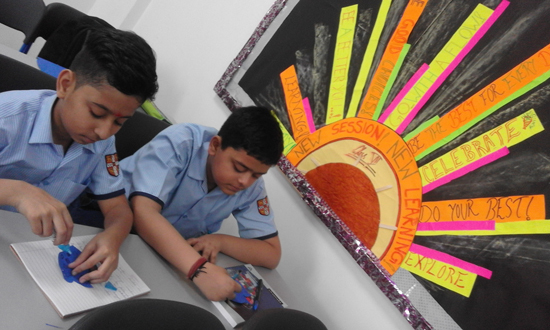 Students of class 7th E involved in primary moral teaching for class 1 and class 2. 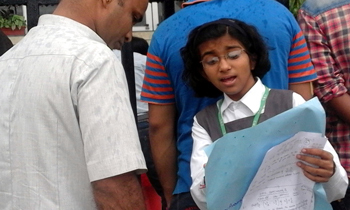 They enjoyed the project by teaching songs, prayers, stories. 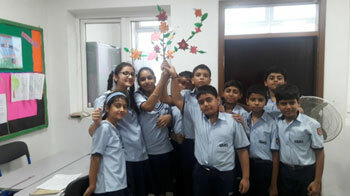 After studying lesson 3 Breezes of Confirmation we asked junior youth what they like to do in future so they have written their wishes on colorful papers with flower shape and they could stick it on “Tree of Wishes” and they decorated that. 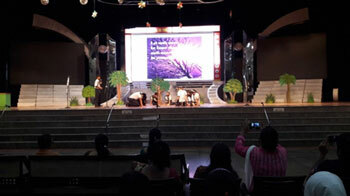 We had skit of many stories of “Walking in the Straight Path” with class 8 students. After finishing lesson5 of “Breezes of Confirmation” we taught them new song “Prefer your Brother” and we asked them to sing the song and play their own imaginary music .So they used different objects to play the music and sing the song, they enjoyed it a lot. 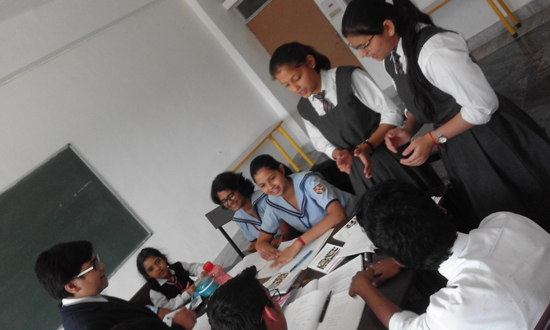 Class presentation was arranged by junior youth group class 7th on “Individual transformation and transformation of our society”. 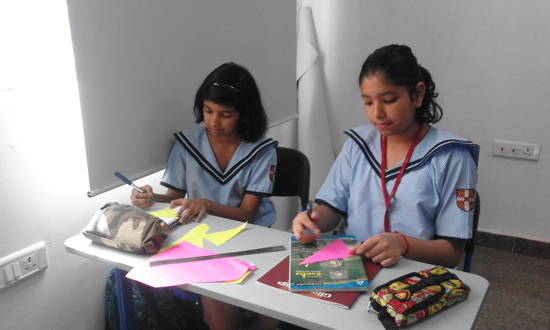 Junior youth prepared the program about the importance of the virtues in our individual life and after that they had Yarn activity. We had a great opportunity to watch and discuss the “Mercy’s Blessing” movie with all class 8th students of our campus and Cambridge section as well. This ability to sacrifice, to be generous and think of the well-being of another, is a reflection of the strength of the human spirit. The film shows universal themes of love and sacrifice, hope and despair that remind us of our common humanity. It is wonderful to see how the film inspires courage for change in people everywhere, living in very different circumstances and try to make a choice. 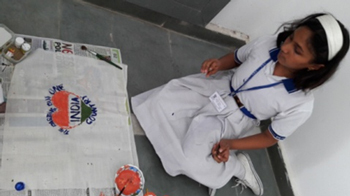 We also had Warli Art on the concepts of the movie. 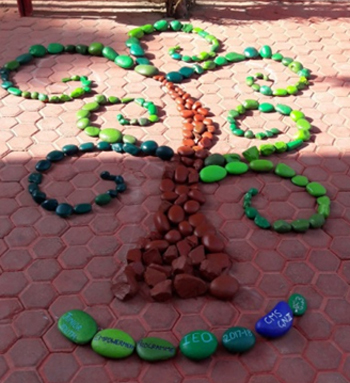 Class 6 and 7 and 8 junior youth did lot s of creative activities related to IEO, for two months we had conversations about “Nature”. A: What are some signs of God in nature? How do these signs embody God’s Names: the Maker, the Creator? How do these signs express God’s will? B: How does thinking about nature make us feel humble? Stone Painting: Find a rock, Paint a rock, Hide a rock is the next step of service project on stone which we had been initiated since July. 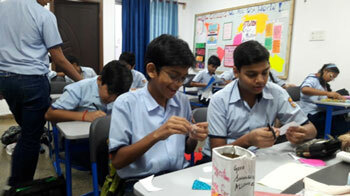 Junior Youth Empowerment programme is spreading acts of kindness through this service project. The purpose of this group is to paint a rock and hide a rock as random acts of kindness to create consciousness about environment. 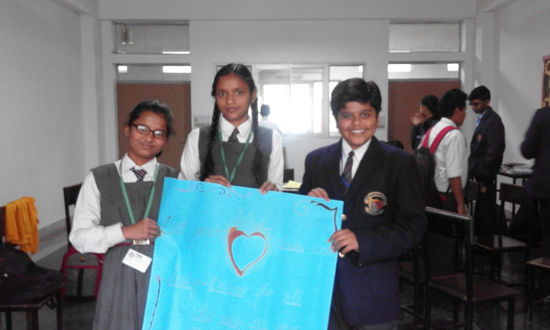 After having several conversations related to environmental issues the animators decided to start a service project and encourage junior youth to bring a rock and spread love and kindness to the mother earth. 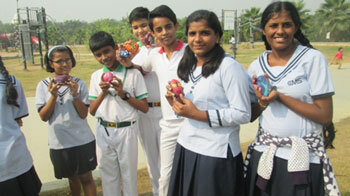 After painting the stones, students and animators hide stones in Janeshwer Mishra Park, invite others to search and share the pictures with the same stones along the message written on it. 2. Aluminum foil: Another service project animators have been doing is finding out the effect of aluminum foil to our environment. 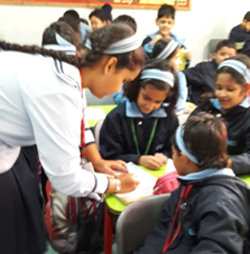 Animators of class 9 and 10 started to do a research and ask all junior youth of class 6, 7 and 8 to find out how many students are using aluminum foil every day to pack their food and it was found out that 81.3% students of junior section are using it. 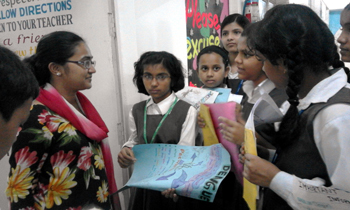 Animators of class 11th and 9th from Gomti Nagar II and Cambridge section prepared their programme for International Interfaith. 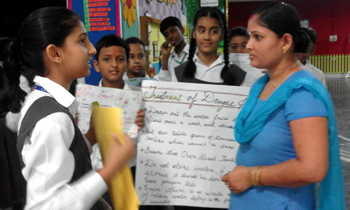 We watched “The Pink Rabbit” with class 7thstudents; children discussed and answered the questions. 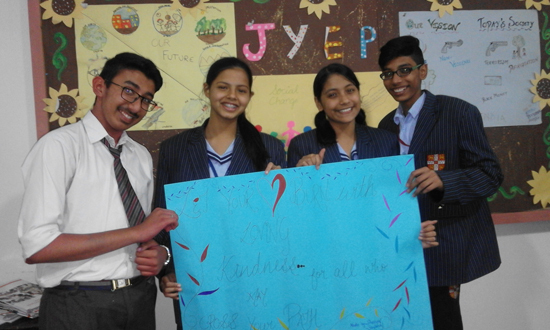 Since one of the purposes of JYEP is improving the power of expression so we prepared some questions for class 6th which helped them to improve their language, for example when they make sentences they think and write and express their thought. We had reflection meetings with all animators once in a week. 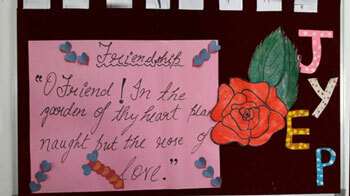 We had a workshop for class 8 and 9 Cambridge section and class 8 CMS section on “Friendship”. We had animator’s conference in October 2017. 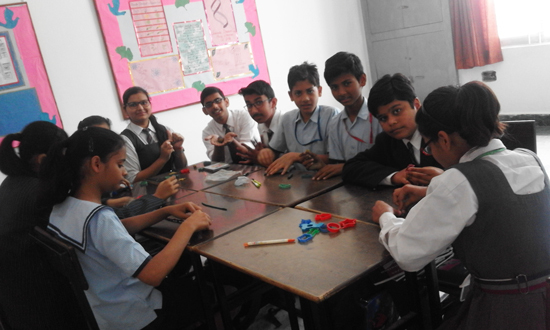 To form new team of Animators among class 8 students we had some activities with all of the students of class 8 and prepared them for the programme. 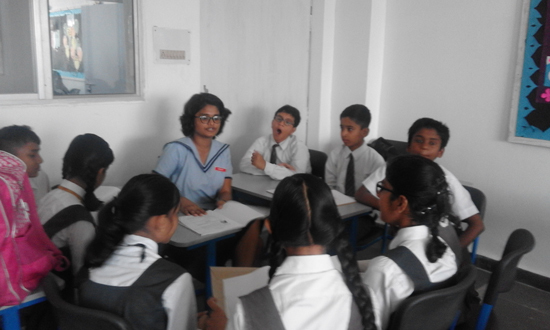 So, we showed them Tedx talks in order to help them how to give the speech and improve the power of expression. 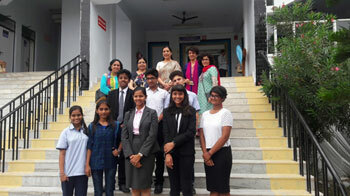 We have also asked them to write an essay on" What is the role of Junior Youth for transformation of our society." 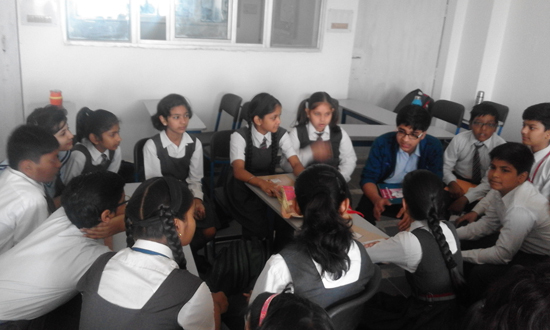 We interviewed most of the students from class 8 who were eager to be an animator and in groups of 3 to 4 students we explained about the programme. Junior youth groups can make a significant difference in communities, neighborhoods, villages and even the world at large! 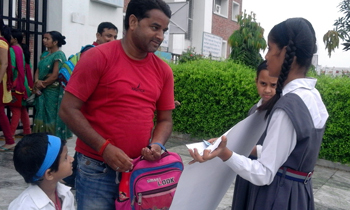 When junior youth become spiritually empowered, they take on tremendous amounts of responsibility to contribute to the betterment of society. 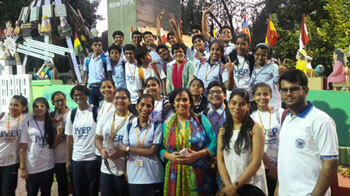 A junior youth group has the potential to change their surroundings through the service projects that they do, keeping in mind that change is most sustainable when their efforts are consistent. 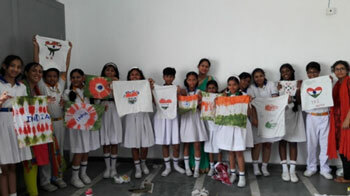 One of the most important part of the junior youth empowerment program is "SERVICE PROJECT". 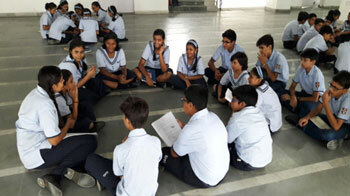 Where the junior youths share and discuss their thoughts on how to help make the society they live to be a better place. 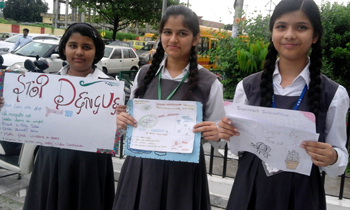 While discussing about the starting a service project the junior youth realized that dengue fever is one of the most dangerous virus which is widely spreading in the neighborhood and the junior youth plan to create awareness of how to prevent ourselves from these harmful disease.